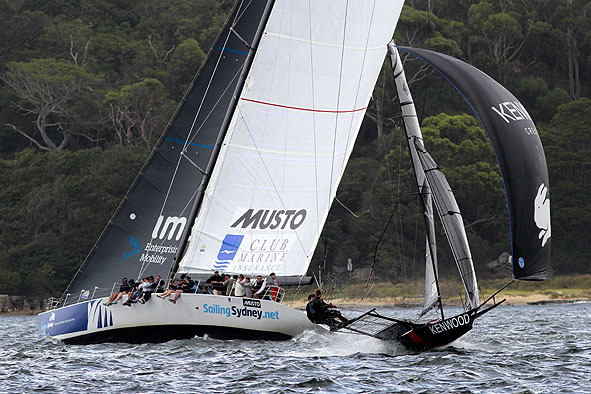 Coopers-Rag & Famish Hotel took out Race 5 of the Australian 18ft Skiff Championship on Sydney Harbour today, but the runner up Gotta Love It 7 became the 2012-2013 National champion in the series. 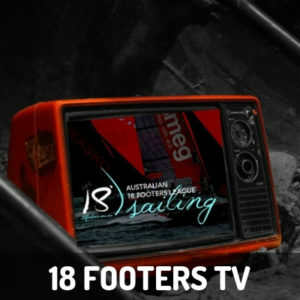 The Coopers-Rag & Famish Hotel crew of Jack Macartney, David Witt and Mark Kennedy were superb with their #2 rig in the 20-knot SW-SSW winds to take out the race by 1m14s. After an early race incident which cost the team many positions, Seve Jarvin, Scott Babbage and Peter Harris recovered strongly to bring Gotta Love It 7 home in second place behind Coopers-Rag & Famish Hotel. Last week’s winner Smeg (Nick Press, Dan Phillips and Dave Ewings) finished a further 1m15s back in third place today for an overall second in the championship. 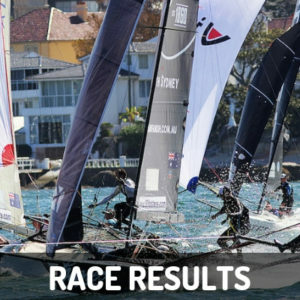 For the defending champion Thurlow Fisher Lawyers, and series leader going into today’s race, it was a disaster as the skiff finished 11th for an overall third place. Gotta Love It 7’s final total was 8 points, followed by Smeg on 10, Thurlow Fisher Lawyers 11, Coopers-Rag & Famish Hotel 22, Yandoo (John Winning) 29 and The Kitchen Maker (Malcolm Page) 32. Appliancesonline.com.au (Micah Lane) finished fourth today and would have been fourth overall but withdrew from today’s race because of a pre-race incident, which was going to be the subject of protest. Thurlow Fisher Lawyers was always near or in the lead over the first lap of the three-lap windward-leeward course. Coopers-Rag & Famish Hotel was never far from Thurlow Fisher and the pair had a great battle over that first lap. Coxon and his Thurlow Fisher team, along with Gotta Love It 7, elected to sail the Northern side of the course on the second windward beat and lost out to the Coopers-Rag team which were in mid harbour and better breeze. This allowed Coopers-Rag & Famish to open up a clean break back at the Clarke Island windward mark and from that point the team were never headed. Thurlow Fisher Lawyers was still in a good position to retain the title, but a capsize at the bottom mark on the second lap forced the team out of contention on the day and in the championship. The Kitchen Maker, skippered by Olympic 470 Gold Medalist Malcolm Page, and Lumix (Jonathan Whitty) both had strong performances to finish fifth and six respectively. Eight photos and today’s result sheet are attached. 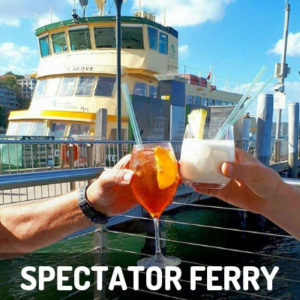 Spectator Ferry photos will also be published on www.18footers.com.au and www.flying18s.com during the coming week. 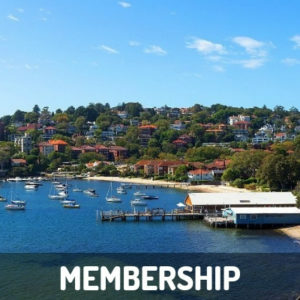 The club’s regular spectator ferry will follow next Sunday’s Race 5 of the Australian Championship, leaving Double Bay Wharf at 2.15pm.